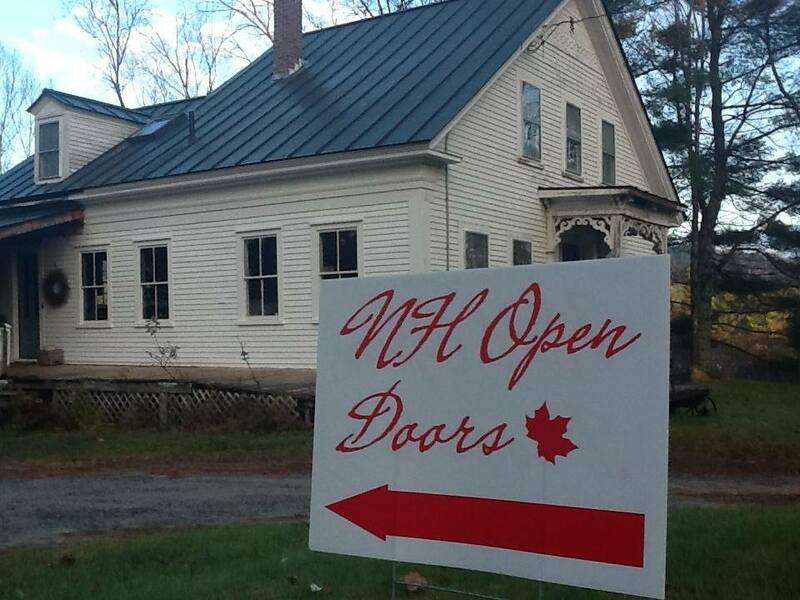 After weeks of unseasonably warm temperatures, the weather over the past weekend finally turned towards autumn just in time for the statewide 2013 NH Open Doors event. Custom felt hats available at 693 Canaan Street, Canaan, NH 03741. This year, I had a real mix of visitors: friends, neighbors (a few whom I’d never met! ), some in-state folks finally cashing in a holiday gift certificate, and several intrepid travelers from out-of-state, too. I love having people over to my hat studio. There’s something wonderful about sharing where my hats are made. And folks love seeing all the different types & colors of yarn in their natural setting. Thanks so much to everyone who managed a visit. If you couldn’t make it this past weekend, you can always contact me to arrange your own personal road trip to Canaan. This entry was posted in Demonstration, Fine Craft, Home, Travel, Upper Valley and tagged Canaan, New Hampsire, nh open doors, Open Studio Tour by Carrie Cahill Mulligan. Bookmark the permalink. I wish I lived closer! I would have been there in a heartbeat.